Back plate for cuplex kryos. 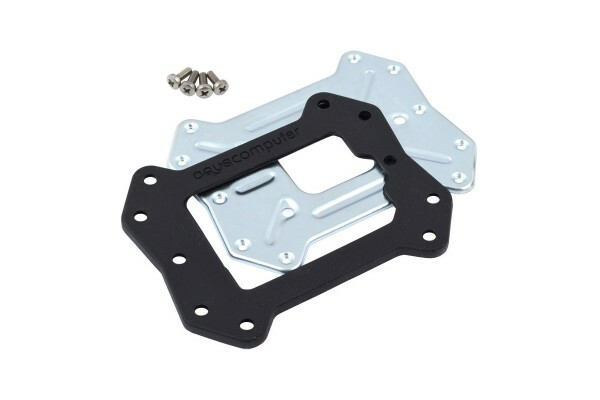 The back plate can be installed behind the motherboard to evenly distribute the pessure generated by the mounting mechanism of the waterblock. For electrical insulation and protection for electronic components on the rear side of the motherboard, a silicone plate is included to be installed between back plate and motherboard.